In 2013, while visiting Iceland, I fell in love with nature. I’m a visual artist and, at the time, I had begun to feel that the direction of my work was calling out for change. I needed to focus my attention on my studio work, so I applied for visual art residencies in the US and abroad. Gullkistan in South Iceland was the first one to offer me an artist-in-residence position, so I leaped. I have lived in Philadelphia all of my adult life. I never wondered about the state of my relationship with nature. Never felt on a conscious level that anything was missing. But love crept in while I was simply, quietly being present in nature, far from home, in solitude and silence. Brian Powell likes to say electric bicycles just sort of happened to him. The importance of buildings in the battle against climate change cannot be underestimated. Buildings account for nearly 40 percent of CO2 emissions in the US., and are the primary driver of climate change in our region. As Philadelphia continues to aim for leading edge sustainability in building and infrastructure, 500 sustainability experts from across the country join for the eighth annual Sustainability Symposium. The full day of educational sessions and tours addresses cutting-edge green building and sustainability topics including LEED, Passive House, Living Building Challenge, Enterprise Green Communities, WELL, green stormwater infrastructure, and 2030 Districts. Job interviews are tough, and that’s under the best of circumstances. If you don’t have experience interviewing, the proper clothing or knowledge of where to start looking for a job, it’s even harder. That’s where Career Wardrobe comes in. Career Wardrobe is an local nonprofit in that aids participants with professional clothing, skill development and help with job searching. The long-running Philadelphia-area organization will host two fundraisers this spring to benefit their operations this spring. These Meet the Maker Sip & Shop events will be held at Mushmina in Wayne on April 27 and Bok Design Studio on May 3. While neither Rachel nor Adam originally hails from the Philadelphia area, they found their home, their careers, and each other here in the City of Brotherly Love. Their connection to the city led them to create the ultimate “Philly block party wedding”—literally making use of their own city street. Lucy and Andrew had been following the renovations of the Bok building, a historic vocational school restored into a creative space for small businesses with a rooftop bar and event space. They were thrilled to be one of the first weddings on the South Philly rooftop terrace with 360-degree views of the city. You say it’s your Earth Day? It’s my Earth Day, too! Get out of the house this Sunday, April 22, and enjoy any of these events, while pondering a future when there’s an Earth Year, and a Fossil Fuel Day. Resa and Jillian have rooted themselves in Philadelphia for the past nine years, where they own and operate Pelago, which creates roving Filipino pop-up dinners. They say they have found so much love in the camaraderie of local business owners and their passion for sustainability, and wanted a wedding that reflected both their Filipino heritage and the Philadelphia community. A few years ago, Tariq Mangum was concerned he wasn’t giving his body the nutrition it needed. “I don’t eat a lot,” Mangum says of his personal diet. “I probably eat two meals a day.” So he started researching ways he could enhance the quality of his diet, finally settling on homemade smoothies to supplement his meals. Eventually, a friend asked if Mangum could make him one. Then another friend. Then another. That’s when he realized he could turn it into something. Now he’s working on a new venture that he hopes will become the Starbucks of juice. It’s not often that the words “mud pit” and “arts festival” are uttered in the same breath, unless you live in East Kensington. Then it’s an annual tradition. Every year since 2006, a few dozen teams—ranging in size from solo operations to 15-person school squads—design and parade quirky floats throughout a neighborhood obstacle course. More than 80 percent of the world’s flowering plants require a pollinator to reproduce. If we lost just the plants that bees pollinate, we’d risk losing all of the animals that eat those plants, creating a domino effect on the food chain. In fact, a world without bees could struggle to sustain the global human population! Pollinators FOUND is a celebration of the many ways in which twelve key insects and forces of nature shape our natural world. On Saturday, April 21, from 1-4 p.m., the free event will unveil Awbury Arboretum’s twelve unique ceramic tiles, each depicting a pollinator, crafted by local artist Karen Singer. The family-friendly event will also include a scavenger hunt exploring the grounds to reveal the twelve tiles, a talk on Cross-Pollination: Art, Gardens, and Community, and walking tours led by master gardener and naturalist Nancy Pasquier about the specific pollinators at Awbury. If the physic garden at Pennsylvania Hospital hadn’t offered me a silent lesson, I might have remained distraught. At 71, I needed a total knee replacement, the surgeon said, mere months after a hip replacement. You don’t have to be a millionaire to enjoy art. It’s for everyone. Art for the Cash Poor was conceived with that idea in mind, knowing that financial barriers often keep people from even considering buying art. Started 19 years ago by InLiquid, a Philly-based nonprofit that works to create opportunities for visual artists, Art for the Cash Poor began with 25 artists selling works under $50. Since then, the number of competing arts festivals in the Philadelphia area has multiplied—that’s a good thing—and the springtime event has expanded, eventually finding a home at its longtime space at the Crane Arts building. 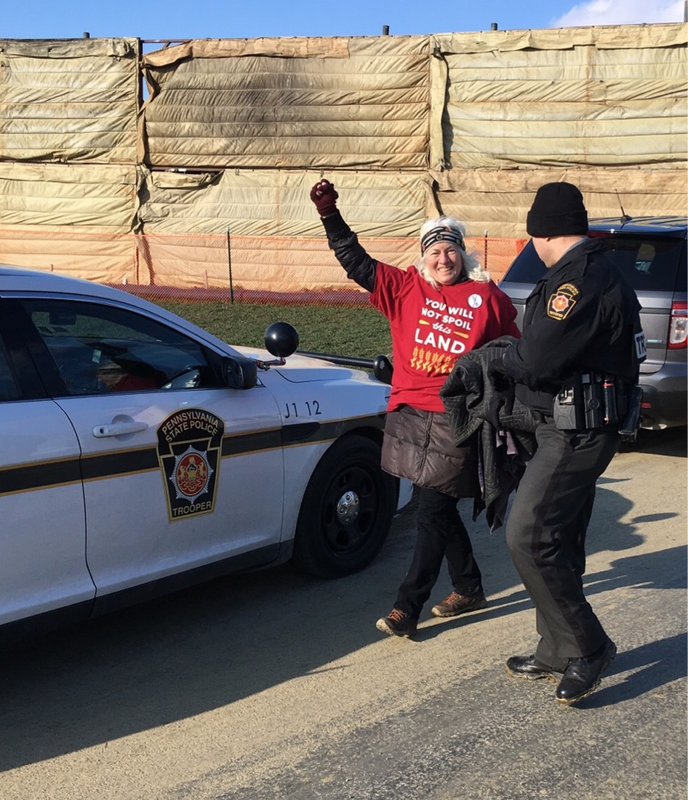 For Sister Mary Elizabeth Clark, a longtime and committed voice of environmentalism within the Catholic Church, it was the tweet she’d been waiting a long time to receive. "Mom,” a red-tailed hawk and Philadelphia’s most-watched bird, napped in a small London plane tree next to Sister Cities Park on a gray winter morning. On the sidewalk below, I joined Christian Hunold, associate professor of political science at Drexel University and a nature photographer. We suspected Mom had already filled her crop with rat meat by the time we found her. 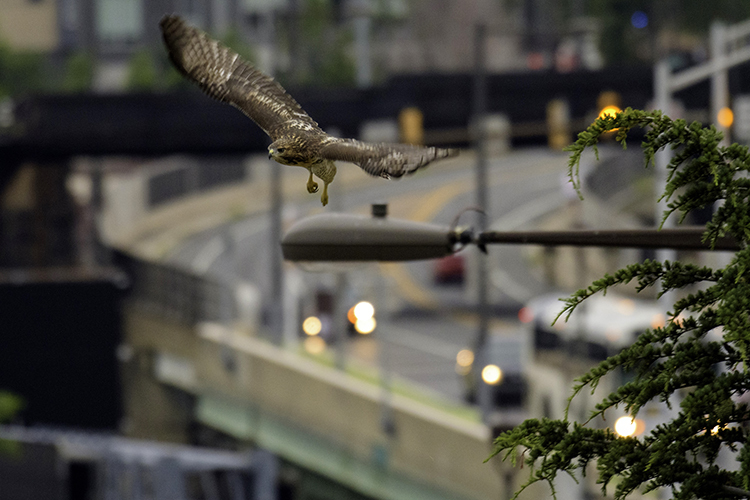 Carolyn Sutton, one of the most dedicated members of Philadelphia’s hawkwatching community, had run off to track down Mom’s paramour, a younger fellow named T4 (“T” for “tiercel,” the proper term for a male hawk). She found him a few blocks away ripping into another unlucky rat. Just another morning for an urban hawk family. If you spend much time in Philadelphia, you have probably seen Mom, T4 or another of our urban red-tailed hawks. If not, now that you’ve read this, you will start seeing them everywhere: perched on rooftops, cruising over the road you’re driving on, swooping down to grab a squirrel while you eat lunch on a park bench. You’ll hear them too. Delaware River City Corporation, the organization tasked with implementing the 11 miles of trails that will connect Port Richmond and Torresdale via the North Delaware Riverfront Greenway, will now be known as the Riverfront North Partnership, with the North Delaware Riverfront Greenway renamed as Riverfront North. The change comes as longtime executive director Tom Branigan announces his retirement; he was the first executive director of the Riverfront North Partnership in 2011. In the time since Branigan began as executive director, Riverfront North has significantly furthered its goal of “transforming once neglected post-industrial landscapes into usable community space,” coming to encompass not only a network of trails but also facilities for aquatics, sports, historical attractions, lookout points, museums and plenty of opportunities to explore nature. A detailed, interactive map that pinpoints these areas is available through Riverfront North Partnership’s newly relaunched website. Check any biology textbook for an example of evolution through natural selection, and you’re pretty much guaranteed to read about the finches of the Galapagos Islands. Some have smaller beaks ideal for eating insects. Others have sturdier beaks that crack seeds. As Charles Darwin realized when he visited the Galapagos, all are descended from colonists that then evolved based on local conditions. It took Darwin a five-year trip around the world on the H.M.S. Beagle to start thinking about evolution. Today, though, he might have started in a city closer to home. And instead of Galapagos finches, how about urban pigeons? The past and the future are calling Judy Wicks. The term “resilience” has become commonly used in regards to sustainability and as a response to climate change – how do we greater fortify our infrastructure and housing in the face of environmental threats? But this event seeks to look through the lens of regenerative development and design, which doesn’t just sustain infrastructure against potential danger, but thrives and strengthens it as it adapts to disruption.